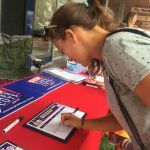 Hundreds from across Australia visiting the Tamworth Country Music Festival are signing up for the campaign to Stop TAFE Cuts. 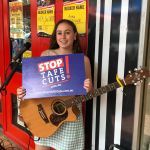 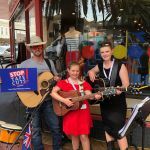 With the sound of country music buskers on Peel Street in the background, grandparents, parents, students and local community members are expressing their anger at the effect of TAFE funding cuts on students and teachers. 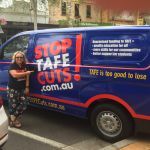 The community is concerned with the problem of increasing TAFE student fees and debt. 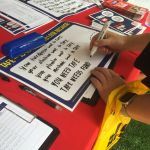 These increases are stopping many students from getting the skills and education they need to gain employment. 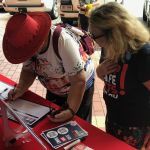 At Federation’s stall, members and officers are talking with people from Victoria, Queensland, Northern Territory, Western Australia and many locals from Tamworth and other parts of NSW. 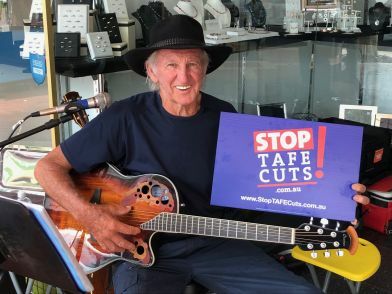 Grandparents are worried about the future of their grandkids, business owners can’t get skilled workers they need, teachers are seeing the damage funding cuts are doing to their graduates.